The data behind preconstruction software. Data is one of our most valuable assets, and is harnessed from many different preconstruction software platforms. Whether we are referring to the data behind our content, or the data surrounding our workflows, we all know that without it we will inevitably see bottlenecks and delays in our projects. As we enter into 2019 we want to focus on the value of data both from and within the fabrication shop. Companies like FabPro1 and GTP have been stressing the importance of this data for years, showcasing to contractors how their fabrication shop can be streamlined using information and metrics to showcase throughput. So what do we see changing in 2019? 2019 is the year of integration. As noted by the 2018 JBKnowledge ConTech report, “software integrations eliminate redundancies and improve efficiencies for companies across projects, offices, and divisions.” The report highlighted that 80% of companies are using up to 5 software platforms, the majority of which do not integrate with one another. To see marked change in BIM workflows, project managers need the preconstruction software tools to manage a project from conception through installation. Connecting the fabrication shop to Revit. GTP Stratus and FabPro1 have made this possible by linking their fabrication shop software with Victaulic’s Autodesk Revit add-in. This software integration gives the project manager a higher level of control over the preconstruction process, providing them with real-time updates on the status of each spool piece within the fabrication shop. The project manager now has this powerful data not only at their fingertips, but integrated into their Revit model for ease of visibility and use. Here is a sneak peek of what you can find within Victaulic Tools for Revit today. 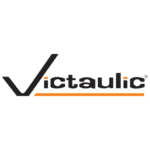 Whether integrating preconstruction software to bring intelligent data to your BIM workflows, or developing design and tooling technology to bring more efficiency to your projects, Victaulic is dedicated to making you Faster from the Start. Your Questions, Answered: Can Victaulic be Installed in Enclosed Spaces? For today’s post, our engineers are answering 10 of your most commonly asked Victaulic questions.